Welcome to the Classic Mystery Noir fashion collection! 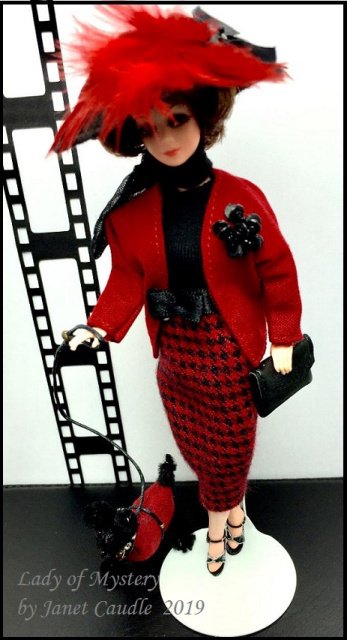 Today we have Angie modeling the “Lady of Mystery.” Six piece red & black couture fashion set. Peggy Pooch & shoes not included. FYI: The fabric used in the pencil skirt was made with the same fabric used in the 2016 Northern Chill winter coat set. 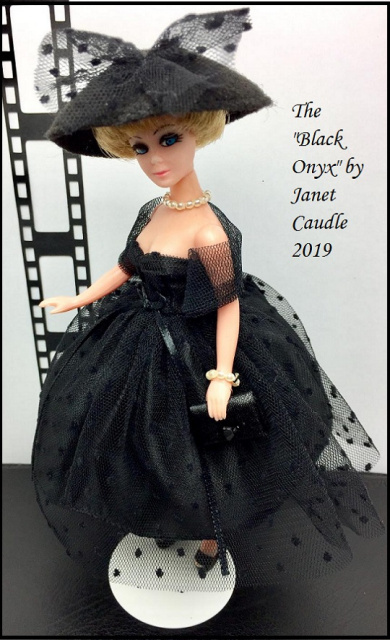 Next, we have Dawn modeling The “Black Onyx.” Four piece all black couture dress set. Shoes & pearl jewelry not included. Thank you all so much for being here this morning. Wish I could have gotten better photos. It’s just something I’m not good at. The Black Onyx is jet black ensemble, clearly not represented by the photos. The “Lady of Mystery” is also a beautiful red & jet black as well. This time around I didn’t make any jewelry sets. If you would like for me to make you a pearl jewelry set, just let me know if you’d like it to have a gold or silver crimp closure and with or without a large center pearl on the necklace. The pearl jewelry sets are $3.00 each.